The Texas Women's Basketball team looks to bounce back and take down visiting TCU Saturday at 1 at the Erwin Center (Photo courtesy of texassports.com). From the high of taking down No. 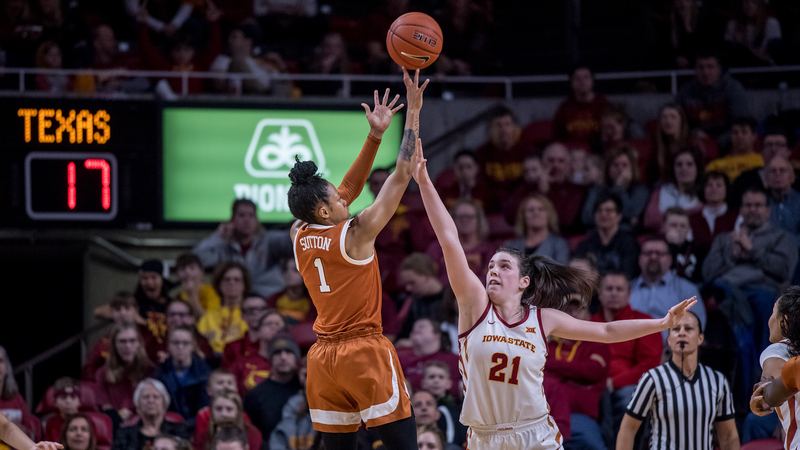 18 Iowa State to the low of getting beaten handily by Kansas State, the Texas Women’s Basketball team experienced it all over the past week. The way the No. 11 Longhorns bounce back with TCU coming to town for a 1 p.m. tipoff Saturday will go a long way toward being able to tell where Texas stands so far through Big 12 Conference play. Head coach Karen Aston put the loss at K-State on an inconsistency in preparation coming off the high of the big win, something she’s tried to put into perspective for her squad this week.